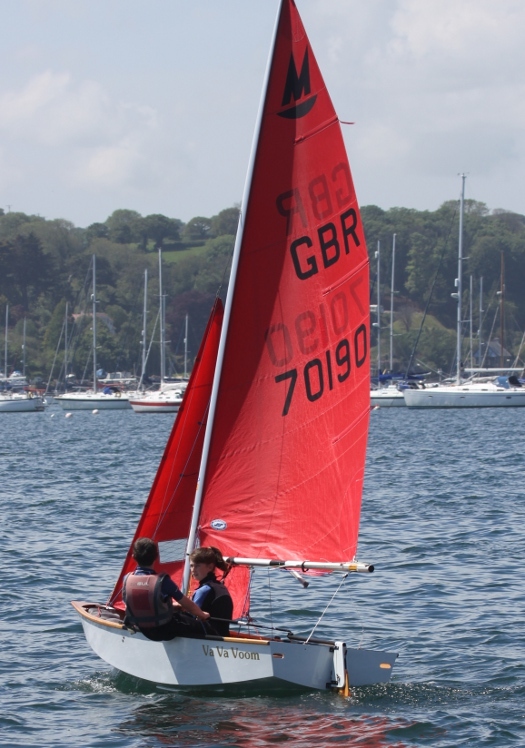 6 Mirrors enjoyed some close racing in the Carrick Roads near Mylor on 27th May. 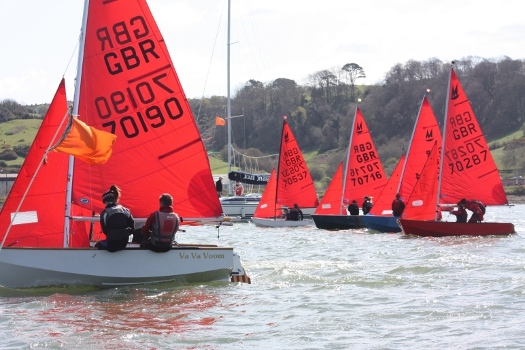 In a light southerly, sunshine and an ebbing tide Martin and Harvey led the way on the first race until the final run when Rebecca and Lauren closed up and then overtook to win by inches with Esme and Scarlett 3rd. The second South West Travellers will be held at Restronguet Sailing Club next Sunday, 27th May. More details on the event page. 6 Mirrors enjoyed some close racing on the Tamar river, just north of the road and rail bridges. With the tide flooding, Martin and Harvey made the most of the conditions to record two bullets with Tom and Niamh 2nd, Esme & Scarlett in their new boat "Bootle Bumtrinket" 3rd in the 1st race.